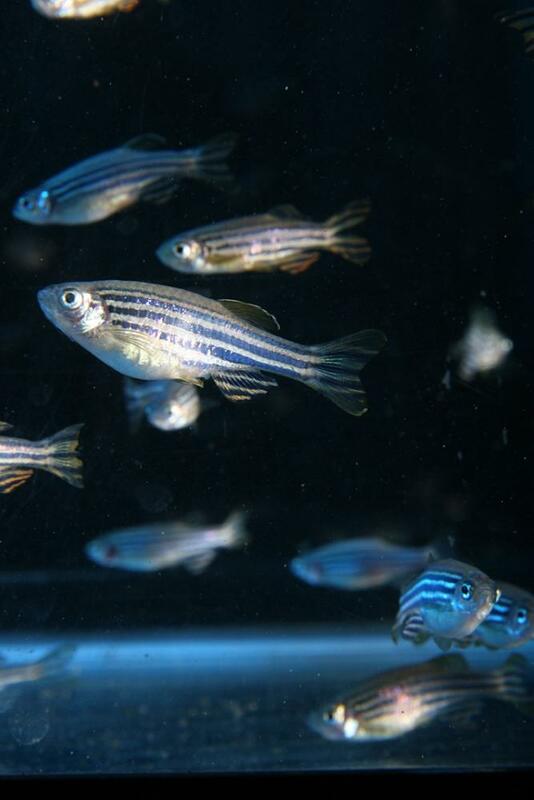 University of Oregon biologists say they have opened the window on the natural process of bone regeneration in zebra fish, and that the insights they gained could be used to advance therapies for bone fractures and disease. In a paper placed online in advance of print in the Feb. 13 issue of the journal Cell Reports, the UO team shows that two molecular pathways work in concert to allow adult zebra fish to perfectly replace bones lost upon fin amputation. One pathway resets existing bone cells to a developmental stem cell-like state and then supports their growth to replace lost cells. The second directs the newly formed cells to turn back into functional, organized bone. Using genetic, cellular and molecular approaches, the authors detailed how the opposing pathways cross-communicate to keep the regenerative process in balance. Unlike humans, some vertebrates, including zebra fish, have amazing innate abilities to regenerate lost appendages and organs, said co-author Kryn Stankunas, a professor of biology and member of the UO Institute of Molecular Biology. According to the authors, a mysterious process triggers residual cells to revert to a less developed state upon tissue damage, a process known as dedifferentation. The process is unique to animals like zebra fish and could be the key to their ability to perfectly restore lost tissue. Understanding the mechanisms could support the design of regenerative therapies that direct human cells to behave similarly. "We focused on the bones of the zebra fish tail fin," Stankunas said in a news announcement, "and asked how amputation induces mature bone-lining cells to go backwards in their developmental age to what's called a progenitor state." The researchers found that cell-to-cell signaling mediated by the Wnt pathway helps existing mature bone cells become progenitor cells after fin amputation. This starts the bone regeneration process. Local Wnt production at the tip of the regrowing fin then maintains a pool of dividing bone progenitor cells until the fin is fully replaced. The job of second pathway, BMP, is to convert the progenitor cells back into mature bone that forms the characteristic bony rays of a fish's fins. The authors show that both Wnt and BMP are needed to complete the process and describe how they engage in a cellular tug of war to balance their opposing roles. Mammals, including humans, have these same pathways, and defects in them are associated with various human bone diseases, said the paper's lead author Scott Stewart, an associate member of the UO Institute of Molecular Biology. Co-authors with Stewart and Stankunas were UO undergraduate student Alan W. Gomez, now a research assistant, doctoral student Benjamin E. Armstrong and research assistant Astra Henner. All are associated with UO Institute of Molecular Biology. Grants from the National Institutes of Health were associated with the project.